The Experience+ Ticket for Disneyland® Paris is a limited capacity ticket which represents amazing value for the money-can’t-buy perks the ticket grants you. Purchase a 2-4-day Experience+ Hopper Ticket and get access to a specialviewing area to watch the Disney Illuminations fireworks, a Super FASTPASS® for your second day and a 15% discount on select dining and 20% discount on merchandise options for the duration of your visit, subject to minimum spend. 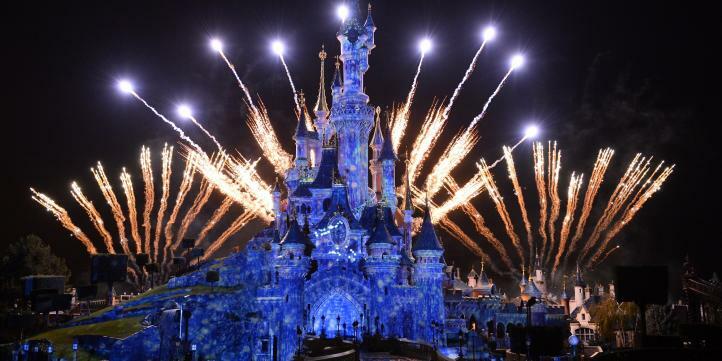 Guests with the Experience+ Ticket will be able to watch the stunning Disneyland® Park fireworks from a special area in front of Sleeping Beauty Castle. This is a guaranteed spot and is a money-can’t-buy privilege as fireworks viewing tickets are not for sale elsewhere! This benefit is exclusively available on the first day of your ticket. On the second day of your ticket, you’ll receive a Super FASTPASS® which grants access to select attractions through the speedier FASTPASS® lane. Attractions included are some of the park’s best family-friendly attractions - Buzz Lightyear Laser Blast (this will be unavailable from the 27 May – 14 Jun, during which time guests will be able to ride Star Tours: The Adventures Continue instead), Peter Pan’s Flight and Ratatouille: The Adventure. Save 15% per person on select table and buffet service dining with the Experience+ Ticket, including Character Dining options- valid in both Disney Parks, the Disney Village® and Disney Hotels! We always recommend booking dining experiences in advance to avoid disappointment. It’s not just dining where you can save though. Guests will also receive a 20% discount on every merchandise purchases of €60 or more, when you shop during your visit. This discount extends not only to souvenir products but also Disney PhotoPass™, which will allow you to record all your favourite family memories for the duration of your trip. After booking this ticket, you will receive a voucher to be exchanged at any ticket window at the Disneyland Paris Parks. There, you’ll receive your Park tickets, 1 ticket per person for the preferential viewing area for the Disney Illuminations fireworks show (valid on the 1st day of your visit) and 1 SuperFASTPASS® bracelet valid for the second day only. On the back of your tickets will be a QR code which can be scanned to activate dining and merchandise discounts. We love this ticket as it allows guests to experience more, stay longer and save more! Click here to book your tickets now. What's on at Disneyland Paris in 2019?